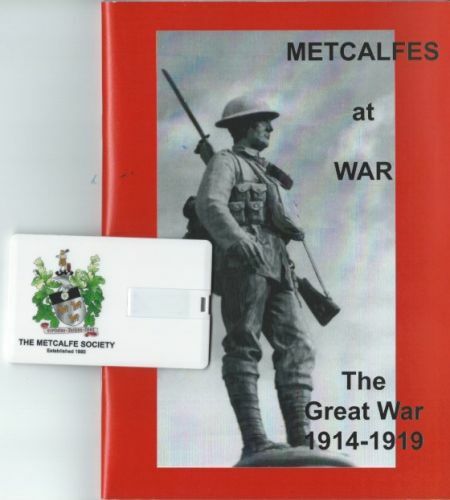 Metcalfes at War - The Great War 1914-1919 is a 66 page Booklet bringing together details of the War Front as it involved the Metcalfes plus stories from individuals. 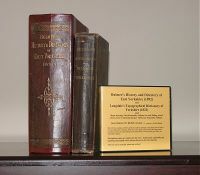 It is accompanied by a large amount of data on either CD-rom or USB memory card - depending on your requirements. The Booklet with a CD-rom is £10.00 plus postage & packing, or with the USB memory card it is £12.00 plus P&P. Choose this item for the Booklet with USB memory card.